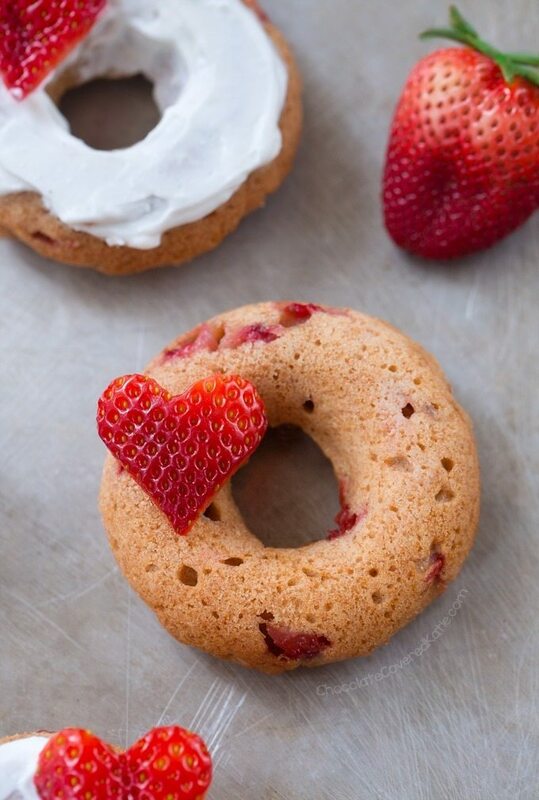 Baked Strawberry Donuts - Refined Sugar Free! 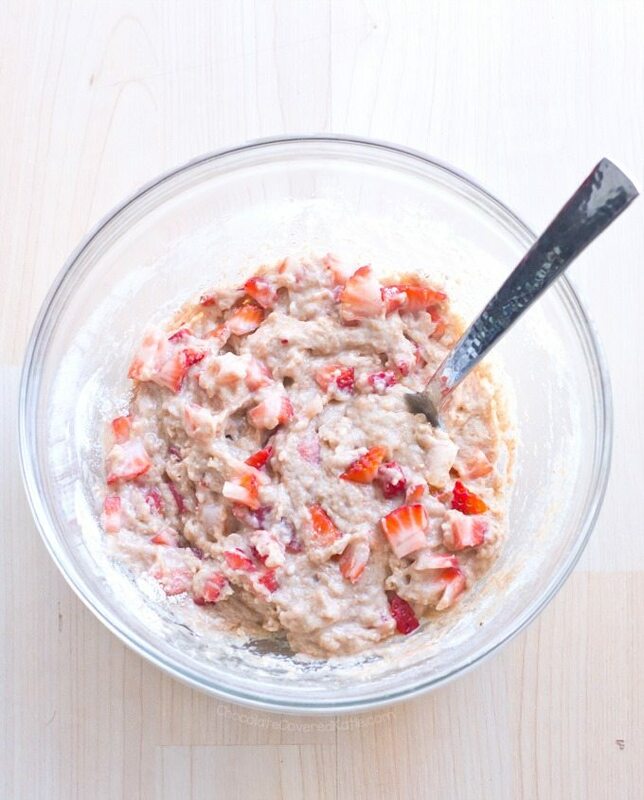 Home » Baked Strawberry Donuts – Refined Sugar Free! 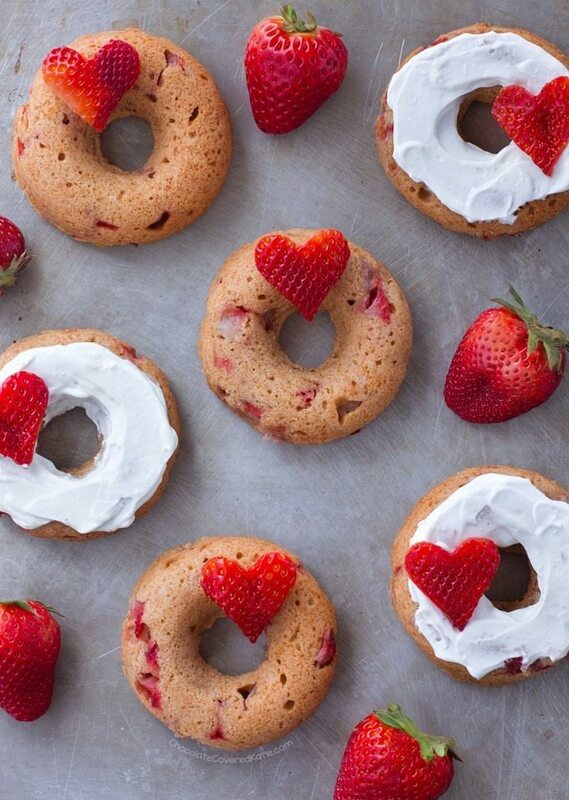 Sweet & delicious baked strawberry donuts. Growing up, I always used to love it when my mom would buy a package of sponge cake dessert cups from the grocery store and we’d top them with sliced strawberries and whipped cream for a simple strawberry shortcake. One taste of these light and pillowy strawberry donuts took me right back to the sponge-cake shortcakes of childhood. And even better, these donuts are free of all the extra refined sugars, preservatives, and artificial flavors present in the store-bought dessert cups. They’re pretty darn easy to make, too: Stir the ingredients together in a bowl, smooth into a donut pan or muffin tin, and bake in the oven. You can also opt to eat them topped with jam or frosted with almond or peanut butter or vanilla yogurt of choice. Or you can make a basic donut glaze of 1 cup powdered sugar mixed with 1-2 tbsp milk of choice and 1/2 tsp pure vanilla extract. They’re delicious unfrosted, too! Combine first 5 ingredients. Set aside. Grease a donut pan OR mini muffin pan, and preheat oven to 350 F. Stir together all remaining ingredients except strawberries. (For best taste and texture, I highly recommend the oil option.) Pour wet into dry once oven is preheated, and stir until just evenly mixed. Don’t overmix. Stir in the berries. Bake 10-12 minutes, or until donuts have risen and batter is no longer wet. Let sit 5 minutes before removing from the pan. 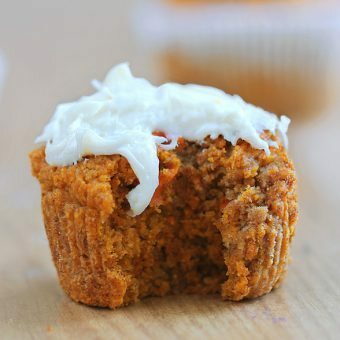 Frosting ideas are listed earlier in this post. These look perfect or mother’s day! My donut maker was one of the best things I ever got from goodwill, excited to try this recipe out! 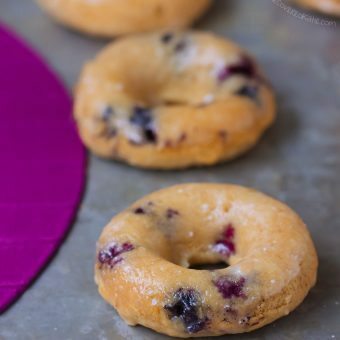 We made your blueberry donuts a couple of weeks ago and they were incredible! I can’t wait to try these as well since strawberries are my favorite. Already made ’em! Delicious!! Of course, my donut pan is back at home (while I’m at school for a couple more days), so I made them as muffins. Would xylitol work in place of the maple syrup/honey ? I made them with xylitol and they tasted great. The only mistake I made was forgetting that the liquid adds volume and texture, so next time I’ll experiment with adding milk or water. 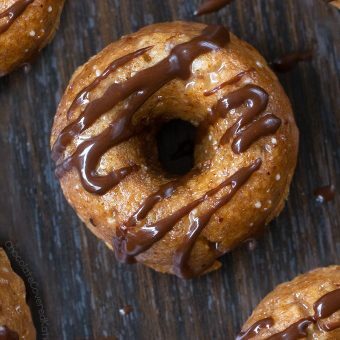 I just bought a donut pan this past weekend, I can’t wait to try these! I don’t understand, you are saying they are whole grain but you are using “all purpose” flour, isn’t that white flour by definition? Can I use whole wheat? Spelt flour or oat flour are whole grain. You can experiment with regular ww as long as you don’t mind the dense and possibly tough texture. Thank you! I guess I missed the “oat flour” part. 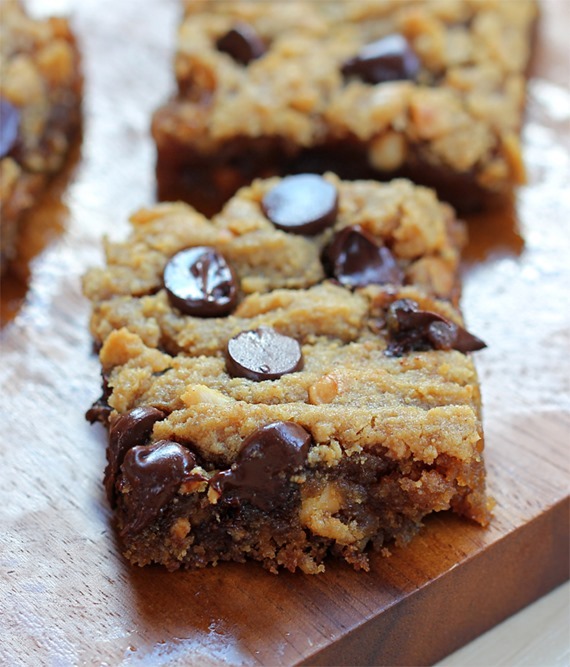 Can you make that yourself like in the banana bread recipe? These just came out of the oven. Fantastic. Thanks CCK. How much do these rise? Do you think they’d rise to fill a cake pop mold all the way to make “donut holes”? My kids will get a kick out of making these with me. If the cake pop tins work as donut holes I’ll let you know! Definitely be sure to report back! These are amazing! Thank you for another winning recipe, Katie. Strawberries are my favorite, and what’s better than strawberries…strawberries with chocolate! Unfortunately, I didn’t take pics of the donuts! Ah these look FABULOUS! I love how healthy they are! Would these work with greek yogurt? Sure, it would just have the same disclaimer as the applesauce version, with the lower-fat texture. Ok but those strawberry hearts! Did you freehand them using the surface of the berry? Or did you use a cookie cutter? 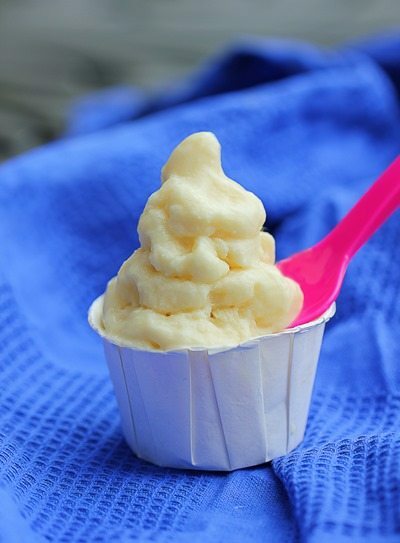 I’m going to try this recipe and then teach it to my daughter’s preschool class. Thinking of making some hearts beforehand for decorating. Thanks so much for any tips! Yum!! I just recently found the Chocolate Covered Katie blog and I’m hooked. I’ve already bought her book and tried a handful of recipes – all yummy!! I just made these donuts today (currently cooling on my counter…drool). I made a GF batch and a spelt flour batch. Both Bob’s Red Mill brand. I’d never used spelt flour before…does it typically take longer to cook than other flours? My GF ones were done in about 13-14 minutes, but the spelt flour ones took MUCH longer (about 8-9 more minutes!). I thought they were goners for sure, but the taste of the undercooked one was just too good to give up on so I put them back in the oven. Doing a taste test with my family soon to see which one is the winner. Do these freeze well? They are absolutely delicious and I want to save some for a party I am having in a week! Yummy, thank you for your delicious recipe. We mi made them with coconut oil and fresh strawberries. Used all purpose flour as we did not have the other flours. Added cinnamon and fresh grated nutmeg. Delicious! I have a granddaughter that can’t haven gluten, soy, dairy, refined sugar, artificial colors or flavorings and I love your blog! 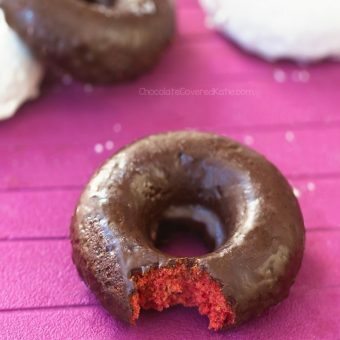 I made these strawberry donuts exactly how the recipe is written with gff all purpose flour and without any add ins for her this evening and they are absolutely delicious, she loves them! Thank you so much for sharing this!